While exporting the pivot grid into xml file . The exported xml file is opening in the opening in the excel format. as a xml file it supposed to be open in the xml format. PivotGrid exports table into Excel Xml file. Browser downloads this file and uses default program associated with Xml extension to open it. Office Xml Handler is associated with Xml extension by default, when Microsoft Office installed. It recognizes Excel file by xml content and opens this file with Excel application. 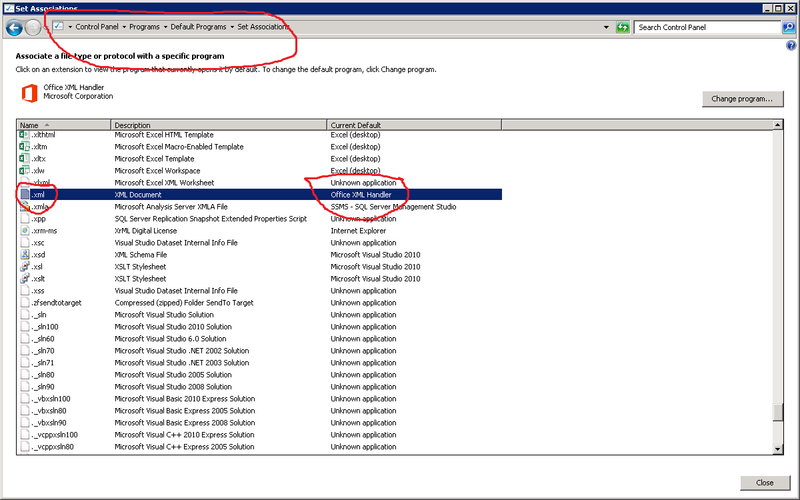 Users can change this behavior on their machines in Control Panel > Programs > Default Programs > Set Associations. It is impossible to control which program will open file, which is sent to browser from web application.